Considered the authoritative work on sieges until the latter half of the nineteenth century, this treatise was not printed until well after Vauban’s death. This manuscript copy is one of several produced by Vauban’s staff and presented to select officers within the French army. 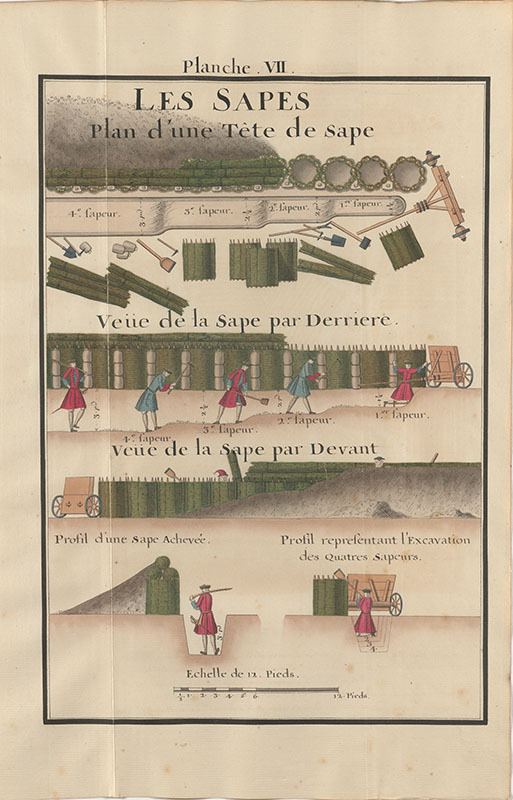 This copy features thirty-three folding hand-colored illustrations of attack plans and defensive fortifications.